Our new Polo has arrived! 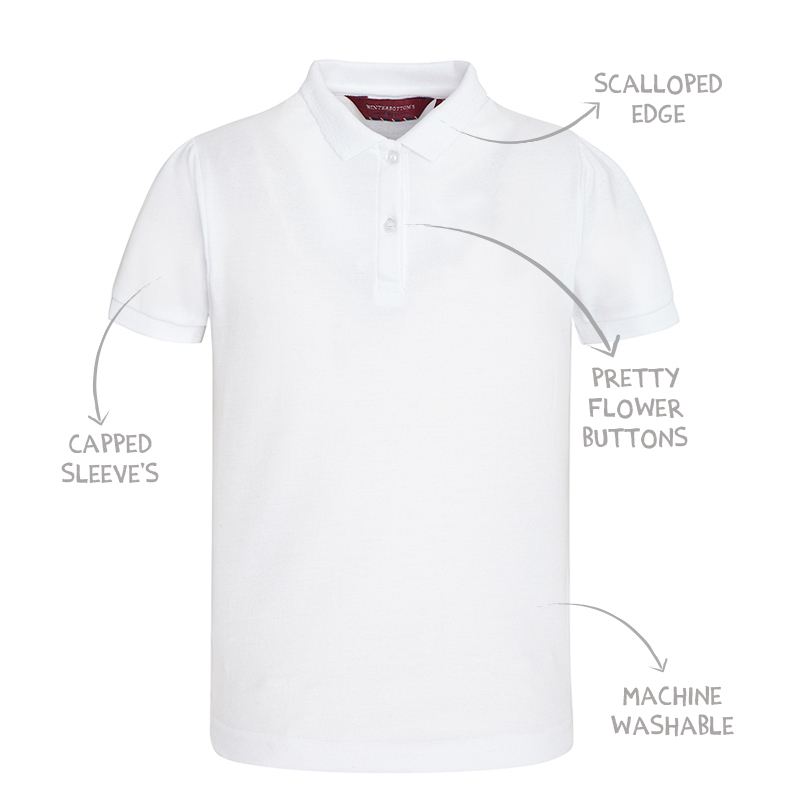 Featuring a scalloped edge collar, cap sleeves and two flower buttons it is the perfect polo for girls. Available in classic white and with its easy care properties both you and your children with love it! Boasting a Polycotton fabric make up it means that as well as being soft and comfortable it is highly durable and will last all year!